Every year since 1985, Nike has released a new Jordan Brand shoe. These kicks are appropriately numbered in succession, with the original Air Jordan 1 coming 33 years ago. In 2018, the brand dropped the Air Jordan 33 which has seen a few interesting colorways so far, including a collaboration with Travis Scott. Just like most Jumpman releases do, it appears as though the Air Jordan 33 will be getting a low top option. 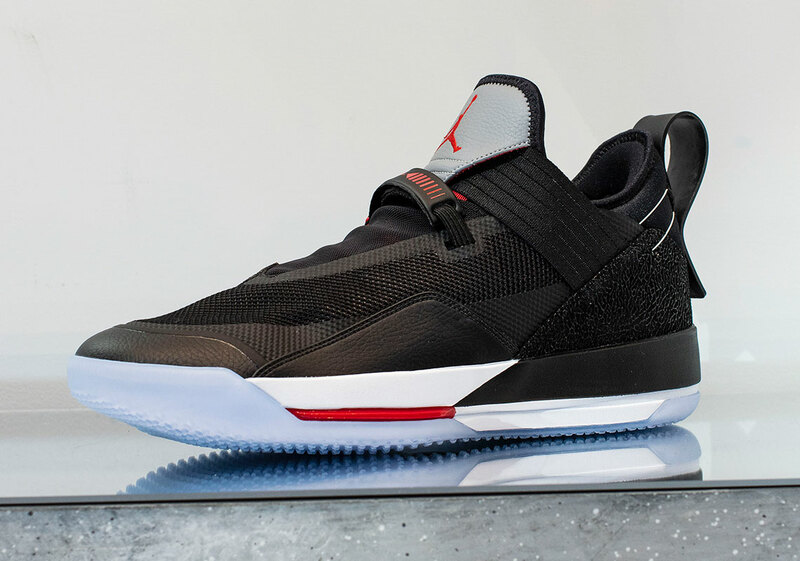 At a recent Jordan Brand reveal in France, two colorways of the Jordan 33's low top version were shown off. So far it appears as though the shoe will be coming in a black version, as well as a white one. Both shoes have red highlights and details that are reminiscent of a flight suit. It seems as though the Air Jordan 33 has been all about the flight aesthetic and these two new models fit that to a tee. As of right now, there is no release or pricing information for these shoes, which makes sense considering all we have so far is a glimpse at what the shoe will look like. Considering these pictures have surfaced, it's a safe bet to say that these will most likely make their way to stores in the Summer.